“Most of marketing is ineffective pushing and that is stuff we as consumers are tuning out,” says Michael Brenner, Head of Strategy at NewsCred. What is the solution that has the power to drive change in your organization? Join Christine Crandell as she sits down with Michael in the latest episode of Market Movers. Watch to learn why he believes marketing should shift away from Madison Avenue and focus more on enabling the kinds of communication that occur from person to person. Five9 and American Support have come together to create more jobs for American veterans and their spouses with the help of cloud technology and a drive to deliver social change. Join Christine Crandell as she sits down with Dan Burkland, SVP Sales & Business Development at Five9, and Matt Zemon, President & CEO of American Support, to discuss how social responsibility and profitability have aligned in Silicon Valley. Join Christine as she sits down with DocuSign Chairman and CEO, Keith Krach to discuss the road he took that led to running the electronic signature juggernaut, whose only competition is paper. 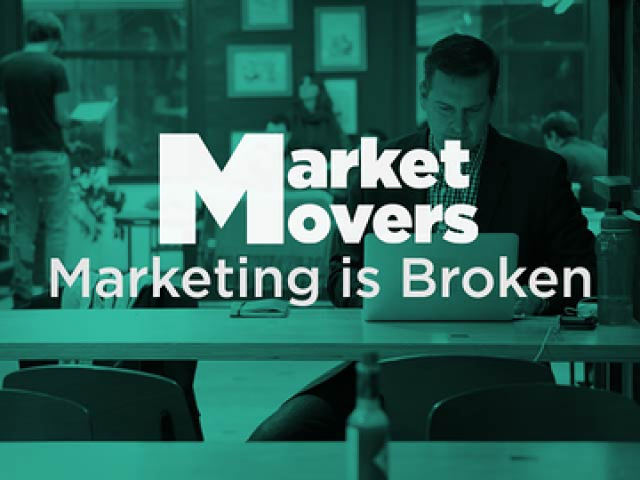 In the premiere episode of Market Movers, Christine Crandell sits down with Silicon Valley powerhouse, Ken Klein, CEO of Tintri. Ken has a rich history in the valley of turning small companies big. Most notably, he led Mercury Interactive to become a billion dollar revenue generating powerhouse before HP acquired it for $5 billion. The Market Movers series covers high profile innovators from coast to coast who are not only changing the rules, but writing their own. Join host, Christine Crandell, as she interviews today’s best leaders on how they propelled their companies to the top and what factors drive them forward into uncharted territory.